Pawning stolen jewelry just isn’t worth the risk. 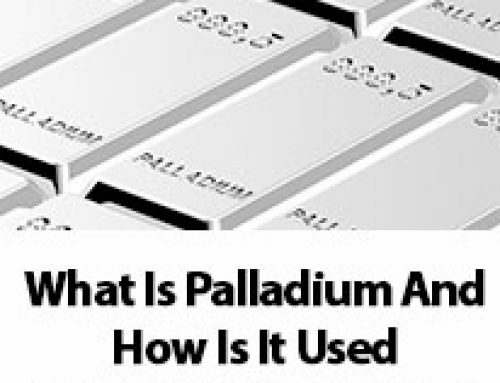 Though it might seem like a quick way to make some cash, there are many safeguards in place to catch people attempting to pass off stolen goods at pawn shop. If you get caught (and you will almost certainly get caught), you could face serious criminal charges that could follow you for life. Many pawn shops have regulations in place for catching criminals. 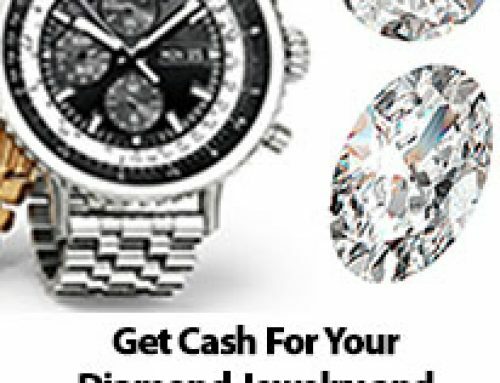 Whenever high-dollar items are brought in, like jewelry made of precious stones and metals or electronic equipment like televisions and computers, pawn shops typically run background checks on the person selling the items. You always have to provide identification when you sell or pawn an item, and this information will be used to run your background check. If you have a history of criminal activity, that could raise some red flags to cause the pawn shop to call the authorities. In some cases, high-end jewelry has a serial number. This may appear in small print on the band of a ring or on the back of an expensive watch, like a Rolex. Some pawn shops will run this serial number to make sure it does not show up as stolen. 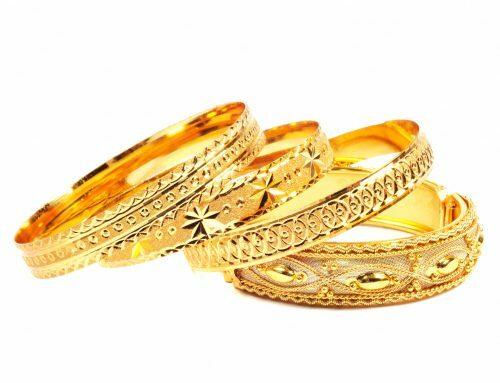 People who buy expensive jewelry will often track and report these serial numbers, so there is a good chance that pawn shops will find a match if the jewelry is stolen. They will then call the authorities, and you will face serious penalties. The penalties for possession of stolen goods are very serious. You will likely be arrested, at a minimum. You could then face jail time and fines. If you have a history of criminal activity, the punishments will be even more severe. Your jail time could stretch from months to years, and your fines could jump from hundreds of dollars to thousands of dollars. The reward you think you might gain from selling stolen merchandise is not worth the penalties you might face if you are caught (and you are very likely to get caught if you try to sell the stolen goods at a pawn shop). 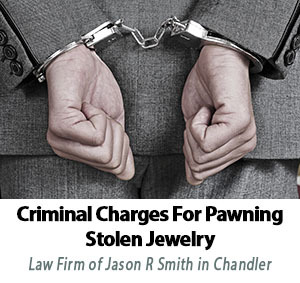 The Law Firm of Jason R. Smith provides criminal defense services if you are caught trying to pawn stolen goods or are found in possession of any other stolen merchandise. A Chandler criminal defense attorney may be able to help you get a reduced sentence or even to have the charges dropped completely. Our law firm serves clients in the Chandler area and beyond. If you find yourself facing criminal charges, call our Chandler law firm to find out how a criminal defense attorney may be able to help you. Of course, avoiding criminal activity is your best offense. 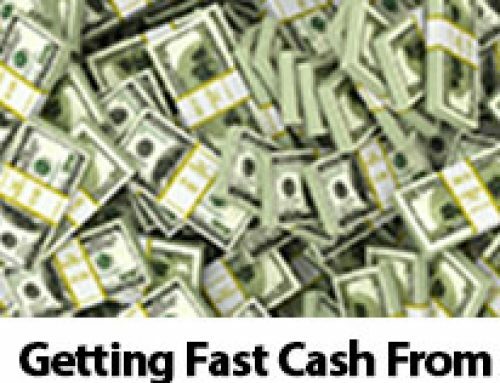 Do not feel tempted by the lure of “easy” money by selling stolen goods. The consequences are too severe to risk it.